Today was a busy, busy, busy day of running around town and trying to get the equipment ready to go for tomorrow. Because we have interviews. Tomorrow. Three of them. So we were at film DEFCON 1 all day, basically. Then it was running for last minute equipment like extension cords, batteries, the sorts of things you want to have in place before you get started. My job was actually to take care of grocery shopping, since I’ve sort of put myself in charge of making certain everyone eats, and eats reasonably healthy. Which is not as easy as it might sound when the filming schedule is as busy as it’s stacked up to be. By the time I trotted back to the flat on my aching feet (through a drizzle, thanks London) everyone else had already gotten started on set up, rearranging the furniture, figuring out how to get the shots framed for tomorrow. It’s something you don’t really think about if you’ve never been anywhere near a camera, but those things just don’t come plug and play out of the box. I even had fun being the guinea pig, walking around different bits of the room to mark off where people aren’t allowed to stand during filming because we’ll be in the shot. As of ten o’clock we’re all turning in. 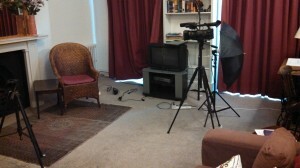 We have an early day tomorrow–finishing touches before our first interviewee arrives! It’s starting, and we’ll be ready. The chair is ready too! There is something strange and wonderful about standing in an empty airport at approximately Oh My God in the morning and waiting for three people whom you have never actually met to find you and say hello. It turns your stomach into a monster made of insecurities and acid. But then the people who up, and after a momentary, awkward pause, everyone says Hi and immediately you start talking like you’ve known each other for years. Awkwardness passes quickly and you often find magic on the other side. Or at the least an Earl Grey Cambric and a slightly sleep deprivation drunk conversation about screenwriting tropes while waiting to board the airplane. You’ll have to forgive me if this one is short and not entirely coherent. Over the last two days, I’ve gotten approximately seven hours of sleep, and there’s something about spending six and a half hours being flung through the air in a giant metal tube that isn’t quite pressurized enough that really turns one’s brains to horrible, lumpy Cream of Wheat. The good news is, we are in London. And not only are we in London, all of our baggage arrived intact, we made it to out of the airport all right, and we managed to acquire some amazing Indian food before I was forced to kill a hapless British pedestrian and feast upon his or her corpse a la 28 Days Later. Seraphina, Sheri, and Carrie have made me laugh until the point of near pain already. We got to know each other over naan and chicken tikka masala, and all that nervousness I felt while waiting in the JFK airport has now gone like it never existed. I’m glad I’m here, and I’m glad I’m here with these women, because we’re going to make one hell of a team. So yes, we are in misty, lovely London, we are together, and we have hit the ground running. Watch us go. Just wanted to give you all a very quick update. It’s been a while. We apologize for not writing or sending flowers. After the end of our last Indiegogo campaign (which was a wild success that we owe all to you) we started hitting the production end of things hard. In case you missed our tweet about it earlier this month, phase 2 filming for The Reel Britain will kick off next month, October 14, in London. 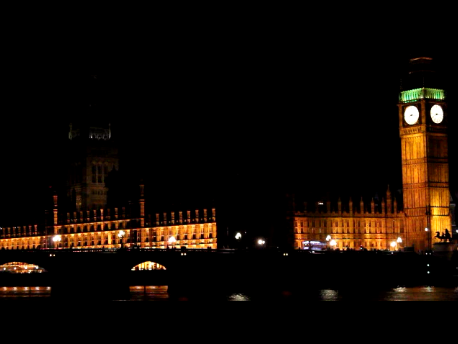 We will be in London-town shooting our next round of interviews for two weeks. During that time, we will be speaking with attendees of the BFI London Film Festival along with a very epic lineup of incredibly talented folks that I can’t mention in this post. We’ve been very busy getting equipment together, finalizing plans, doing audio/video/lighting tests, and scheduling. So much scheduling. We are very excited for this next phase of filming because it is an experience we plan on sharing with you as much as possible. We’ve set up an instagram you can follow to get up to date production clips/photos, we have plans to do live video chats with you from London, and will also be blogging our experiences each day. It is going to be one hell of a ride and we can’t wait to share it with you. Until our next update, we’d like to recommend a few things to check out. As someone who we hope will be involved in the filming process as much as possible from your place in the world, it’s very important you stay “in the know.” We want you to get the most out of your experience following production. And it is always fun to learn something new! So, here we are. The final month of fundraising. We’re rounding third, headed for home, as the song goes. Perhaps it is only natural, as one nears the finish, to think of the beginning, to reflect on where we started, and on how far we’ve come. Most of the team here at Toska met online, through a love of film you likely share. The internet is a uniquely powerful phenomenon in human history; it has the ability to transform almost every aspect of our experience, from how we communicate, to how we work, to how we live. Accordingly, it has changed how we make art. Now a group of like-minded individuals can come together, dream together, fund and make a film together, where before we might never have met at all. And just as the internet has transformed so many aspects of our lives, so too has it changed the nature of filmmaking. It has liberated the medium, to an extent placing it back into the hands not only of filmmakers, but of the audience. Indeed, there is a greater potential now for fans to become filmmakers too. And it is crowdfunding in part that gives us that power. We have a chance here, not just to enjoy film in all the various connotations of that verb, but to make a film ourselves. We can go now from consuming to creating. And that “we” doesn’t just include the members of our crew; it includes everyone reading this right now. Because by supporting our film you’re becoming part of it too. Maybe you’re not spending hours wrestling with editing software, or designing a poster, or talking to a filmmaker about his or her experiences. But you are working day in and day out to make a living, and then choosing (hopefully)to invest a little of your hard-earned money in our film. In that sense your labor is every bit as vital as ours; without your support there would be no footage to edit into a finished film, because there would be no way for us to shoot it in the first place. We started this project with very little, other than a passion for film and the strength of our beliefs. Among those is a belief in the power of people, that by working together we can all achieve whatever we imagine doing. We choose to believe in the tendency of human beings to help each other fly, rather than shoot each other down. We choose to believe more people will help build a set of wings than will punch holes in them. And fundamentally we believe in the power of dreams. To inspire, to uplift, to enlighten, and above all, to unite. We hope you share this belief, and that you’ll decide to be part of our dream. A man dreaming alone can move only himself; dreaming together we can move mountains. Let me tell you about one of the scarier moments of my life. It involved my credit card, an amount of money that was a whole number with three zeroes, and an opportunity. At the time I was still finishing up my masters thesis. I hadn’t defended yet and I didn’t know when I would start working. My husband had already moved to Texas ahead of me, draining a significant amount of our bank account in the process. Money is a frightening specter when you’re a graduate student. You are simultaneously terrified of spending even a cent, and hemorrhaging the green stuff at prodigious rates. Logic told me I should play it safe and let the chance pass me by. My heart told me otherwise. The only other time my heart has had any kind of opinion about money was when it convinced me, while unemployed and with no job prospects, to drain most of my savings and go to England in pursuit of a man whom I’d met only once before (and six years later would marry). I went with my heart this time too. I decided to put my faith in a film project that called to my imagination, and invested the money to become an Executive Producer for The Reel Britain. There are a lot of reasons I could give for making such an outwardly reckless decision. As an American, I’ve got a long and glorious history with British cinema. I’d be willing to bet you do as well, you just may not realize it. We import far more from the UK than villains for our action movies; British cinema is not just period pieces and people with nice accents. I want to know more about the artistic force that shaped my childhood and later creative life with Day of the Triffids, Henry V, 2001: A Space Odyssey, and Lawrence of Arabia. This documentary promises to help me gain greater understanding of art that I fell in love with at first sight. I value new voices in the arts, which is why I support independent cinema when I can. The most interesting and difficult questions are asked by people who decide worthwhile answers are more important than achieving a safe result. Some of the best genre films (which are near and dear to my heart as someone who writes speculative fiction) of the last decade have been independent. (And some, like Moon, have been both independent and British.) Independent film, while a difficult playing field, is where new questions can be asked and new voices may be heard. Particularly the voices of women. The number of women directors is dishearteningly small. I want to support women in the arts. I want to see what they will create. I want to see them fall and soar, because that is the meat of being an artist. And I certainly couldn’t ask for a better team of artists than the one on this project. I was already peripherally acquainted with both Seraphina and Lindsey before this project began, thanks to the magic of Twitter. We’ve chatted back and forth, sharing silly links, bad puns, and the inevitable youtube clip. Since then, I’ve gotten to know the entire team of talented, smart, creative women. Knowing them has enriched my life. More importantly, I have come to trust them, both as people and as artists. That scary moment I had with my bank account back in March ultimately wasn’t about me investing in a film. It was me investing in both the dream and the tangible work of another artist, and I’m glad that I did. We started the process for this film by raising funds on Indiegogo. 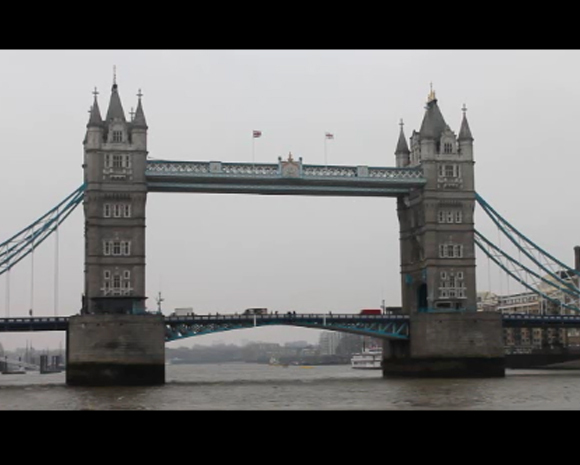 With those funds, we went to London and spoke to a film critic, a media professor, a filmmaker, and an actor about British cinema. Speaking to these brilliant individuals showed us that we knew very little about what was going on in the British film industry, despite our extensive preparations. There is only so much research you can extract from books, websites, and videos. It takes sharing the perspective of someone directly involved to truly open your eyes to the world you are exploring. And that is precisely what happened. Originally, my concept for the film was simple albeit broad: I wanted to make a documentary that celebrated British cinema while discussing the unique issues the industry faces. The number one issue, in my opinion at the time, was the lack of film funding in the UK. Here is a nation whose raw, fresh, powerful films pricelessly contributed to cinema and the main factor holding them back from accomplishing more was money, or rather, lack thereof. It struck me as deeply unfair that these genuinely talented artists with unparalleled voices were being stifled to a faint whisper while billions of dollars were invested yearly in Hollywood silver screen trash. We very quickly realized that while funding was an issue, it isn’t the only issue. In fact, during our discussions it was very seldom mentioned. Distribution and the British film industry’s complicated (occasionally competitive, often collaborative) relationship with Hollywood also greatly impact the industry’s success. 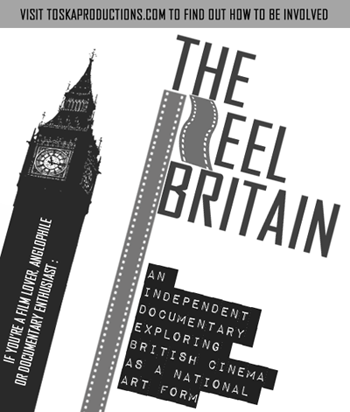 Other deep questions arose during our discussions, including one that has influenced a major shift in the documentary’s focus: What exactly is the definition of a British film? What makes a film British? One of the most powerful things about cinema is that it presents us with the opportunity to explore the identities of other people and cultures without leaving the comfort of our home or local cinema. And so we have set out to examine the traces of British national identity in cinema. One of my goals for this film is to really convey that a British film does not necessarily mean an English film. It is a common conflation that we plan to address and clarify. 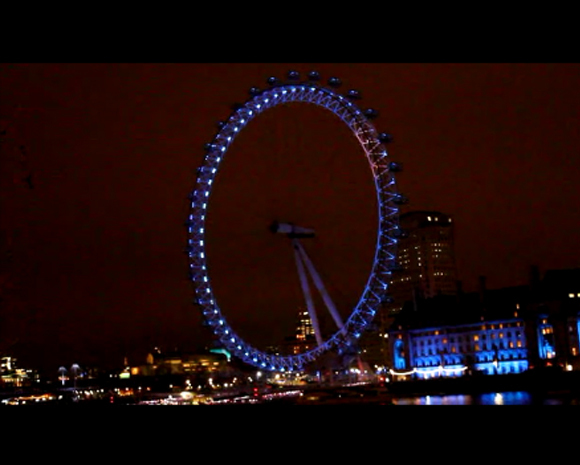 We spoke to some wonderful people this past March during our London filming. Kim Newman and his encyclopedic film knowledge and the admirable ease in which he discussed the cinema of different nations in conjunction with British film was an unforgettable interview. Julian Petley graciously bestowed wisdom on various areas of British cinema while bravely questioning the definition of Britishness. Elliot Grove boldly expressed opinions on several British industry issues as someone who firmly believes in supporting the fresh voices of independent filmmakers. His demystification of the elusive and often esoteric (but nonetheless emblematic) British film figures and organizations was deeply interesting. His interview was definitely a game changer. Tom Hiddleston shared his experience working on British productions where he witnessed the tireless effort British filmmakers invest in getting their films made as well as the insurmountable challenges they constantly overcome. Valuable insight coming not only from a talented industry professional, but someone who has enormous respect and admiration for British filmmakers and the art they create. Our next round of interviewees are already taking shape. So far, we have secured Tony Garnett, long time producer who has famously worked with director Ken Loach, Mark Dinning, the Editor-in-Chief of the world renowned and beloved Empire Magazine, and Debs Paterson, director of “Africa United.” We will also be sitting down with Raindance/BIFA founder Elliot Grove again. We will update you as more interviews are secured. As always, thank you for your support and belief in our crazy dream. You are all international superstars in my eyes. With fake handlebar mustaches and giant go-go boots. And florescent embroidered waistcoats. Oh yeah. Julian Petley, journalist and professor of screen media at Brunel University, who discussed the importance of film as an expression of national identity. Since then, we’ve been busy reviewing and editing the footage we shot, forming it into a full-fledged film (a sneak peek of which can be seen here: http://t.co/5L1HNw6lVu or our Projects page). We have been overwhelmed by the knowledge and enthusiasm imparted by our participants, so much so that we have been inspired to expand our project from a short film into a feature-length documentary. To do this we will be making a second trip to London, during the 57th BFI London Film Festival, October 9-20. We will soon begin a crowdfunding campaign on Indiegogo to support this additional filming. We can’t wait to explore British cinema even further, and to share what we find with you! Because, as a backer or potential backer of our efforts, or even simply as a viewer, you are on this journey with us; this is your story too. Film, after all, is the most collaborative of media, and we are excited to have you along for the ride. Stay tuned for further updates on our progress. We look forward to sharing more with you!